CCL Industries is a leading specialty label, security, and packaging solutions company. The company engages in manufacturing labels, consumer printable media products, and specialty films. 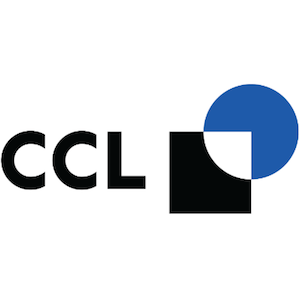 CCL is the largest labeling company in the world and operates through its coordinated network of global project management systems, local supply chains, and innovative technical development resources. The company has 165 production facilities in 40 countries across six continents. By geography, North America is its largest market accounting for over 40% of total sales, followed by Europe (at ~35%) and emerging markets (~25%). The company operates through CCL (63% of revenues), Avery (14%), Checkpoint (14%), and Innovia (9%) segments. Each of its segments commands dominant market shares in its area of operation. Most of CCL Industries’ businesses enjoy leading market positions. Avery is the world’s largest supplier of labels, specialty converted media and software solutions and CCL is the world’s largest converter of pressure sensitive and specialty extruded film materials for a wide range of applications. Labeling is a necessity in virtually all major industries. The CCL business which is the largest of all, supplies innovative labels to Home & Personal Care customers, Food & Beverage companies, Healthcare & Specialty business. CCL Secure supplies polymer banknote substrate, pressure sensitive stamps, passport components, and other security products to government institutions as well. CCL Industries serves a wide range of customers including government institutions and large customer base in diverse global markets ranging from consumer packaging and healthcare & chemicals to consumer electronic device and automotive markets. This adds diversity to its revenue stream. With 70 years of experience, CCL Industries has developed deep industry experience and has partly backward integrated into materials science. The company’s expertise in polymer extrusion, adhesive development and coating, surface engineering and metallurgy is unparalleled. It enjoys a strong reputation for quality manufacturing, competitive price, product innovation, and financial stability. CCL Industries is in a good position to benefit from the growing size of the overall consumer market. A widespread footprint and expertise in the label market should help the company grow its top line. It is focusing on organic growth, acquisitions, and investment in product innovations to support future growth. CCL Industries has consistently paid increasing dividends every year over the last fourteen years. The company has successfully doubled its annualized dividend over the decade to 2013, and more than doubled again by 2017. It last raised its dividends by an impressive 31% and sports a yield of 1.3% currently. CCL Industries has compounded its dividend growth at 17% annually, over the last decade. The company’s focus on organic growth in the core business and bolt-on transactions should enable the company to grow its bottom line. A very low payout ratio of 25% further adds to the visibility of future dividend growth. The company maintains a good cash balance and focuses on minimizing its investment in working capital in order to maximize cash flow. CCL Industries’ supplies label to almost all crucial segments in the society such as home care, health, automobiles, food etc. These labels carry important technical and regulatory information and play an instrumental role in the promotion of products on a global scale. As such, global customers prefer to source their requirements from one accredited vendor known for sophisticated quality control and security assurance. This has led to CCL forming long term customer relationships which have supported stable cash flows. Moreover, CCL Industries’ strategic acquisitions help it to buy businesses that are accretive to its future earnings. Few of its recent key acquisitions like Innovia and Checkpoint have expanded its offerings, especially in the retail and apparel industry. CCL Industries is highly diversified by geographies, businesses, customers, and currencies. With nearly seven decades in the industry, the company has developed long-standing relationships with suppliers, clients and authorities, which enables it to secure business easily. The label market is large and highly fragmented but has no single large player. CCL Industries is the clear leader given its huge scale of operations and global reach. Both Avery and Checkpoint have dominant positions in North America, Europe and Australia. Checkpoint competes with global retail labeling companies. Intertape Polymer Group is its prominent competition. Winpak Ltd., IPL Plastics, Richards Packaging are other big competitors. Product innovations and manufacturing expertise are CCL Industries’ strong competitive advantages. The company is a leading supplier of labels to diverse global markets, which is an absolute necessity in today’s growing consumer markets. CCL Industries is a Canadian Dividend Aristocrat. Sound cash flow generation and a solid balance sheet have been the strong pillars behind CCL’s growing dividends over the years and should support growing dividends in the future. From a Canadian perspective, CCL is a leading and dominant company in its industry with a significant international exposure. The company has been attractive on many front except for the sector it is in. I am not a big fan of the consumer cyclical sector but CCL is high on my watch list as a Dividend Ambassador. The regulatory compliance ensure of product information creates a consistent demand like a toll booth.